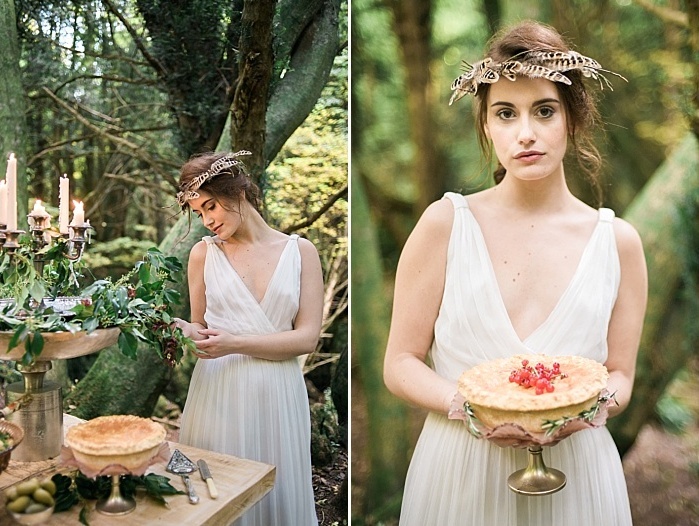 Looking for woodland wedding inspiration? 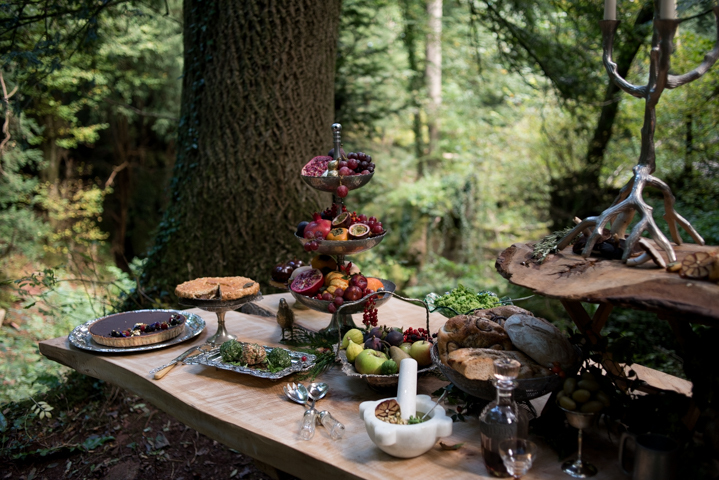 We have it for you! 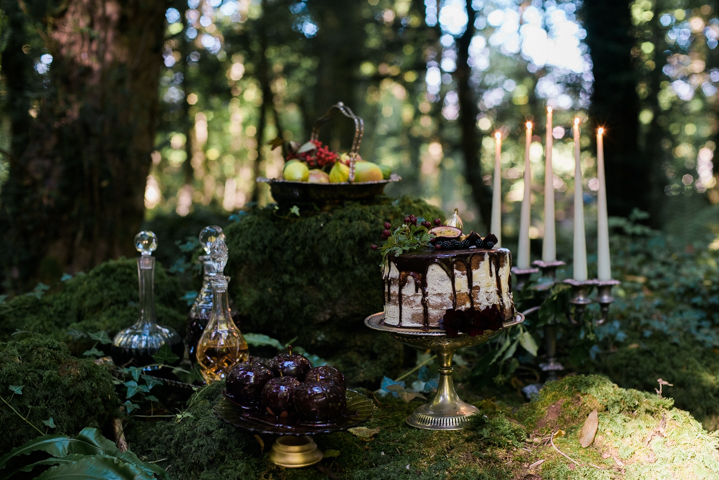 In the deepest, darkest forest there lies a luxe banquet fit for a boho bride and groom, with delicious tones and lavish styling. 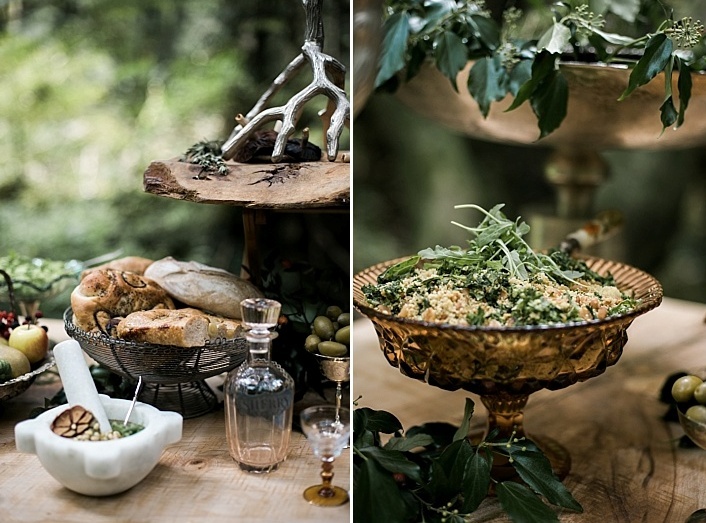 This shoot was about creating a luxurious and lavish wedding scene completely inspired by the natural surroundings of the most beautiful and ancient woodland, using raw materials, earthy, muted tones and a strong focus on food as decor. 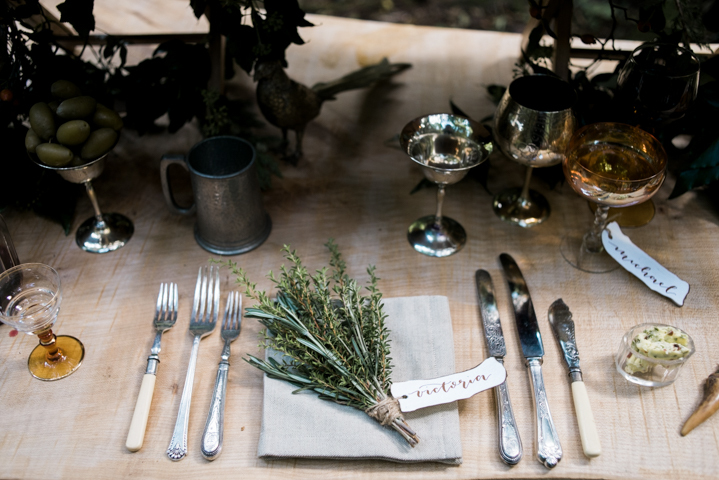 All the suppliers were vegan and 100% eco-friendly. 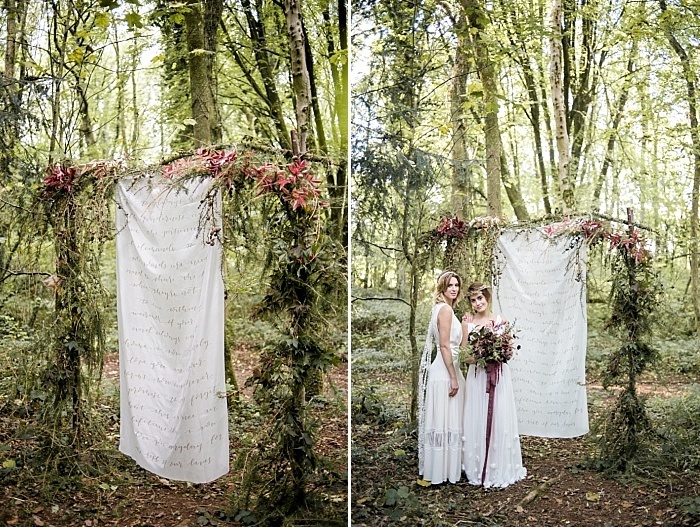 The team decided on a beautiful silk backdrop hung from a natural foliage arch inspired by nature. 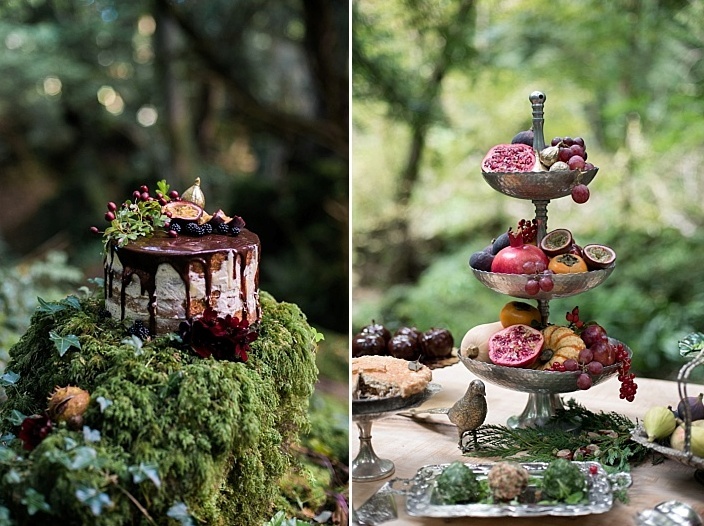 They wanted every element of the shoot to be inspired by nature, from the table that was created from the trees that surrounded it, to the flowers and berries braided into the models hair, the local beef joint on the table to the natural foliage ceremony arch that seemed to grow naturally out of the forest floor. 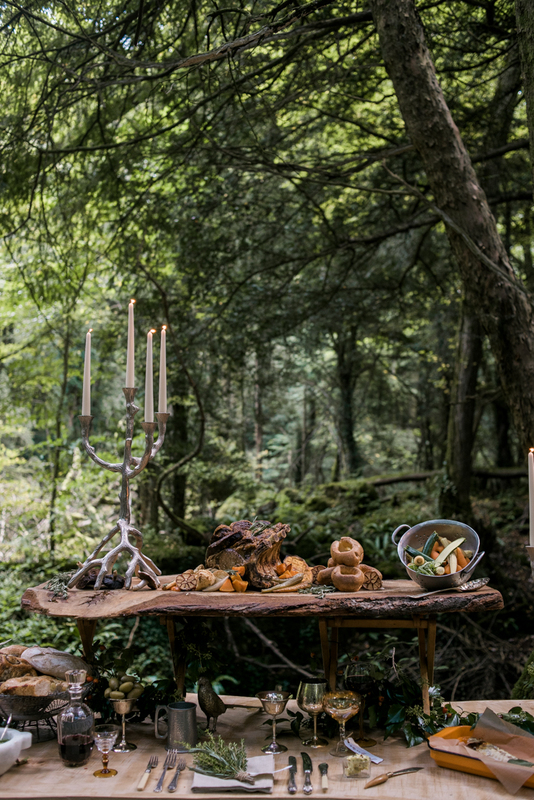 The team also wanted to create a shoot that felt decadent and lavish but completely rooted in nature which sounds like an odd combination! 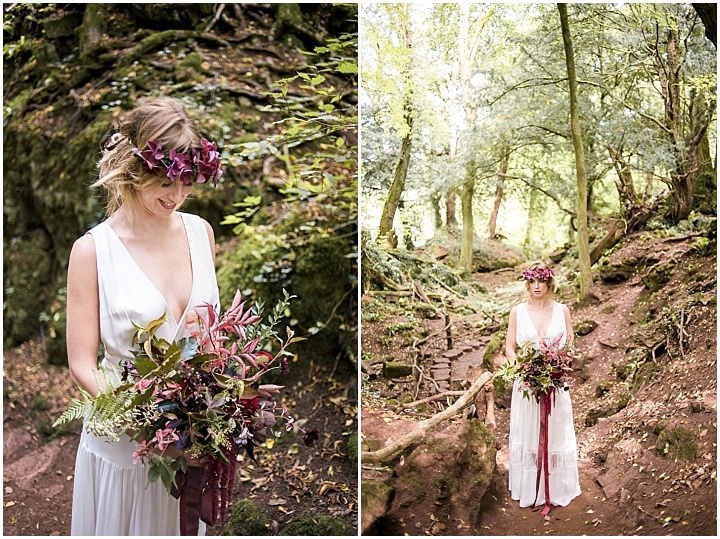 The bride was wearing a boho wedding dress with a V-neckline and a cool crochet lace detail on the skirt and the same back. 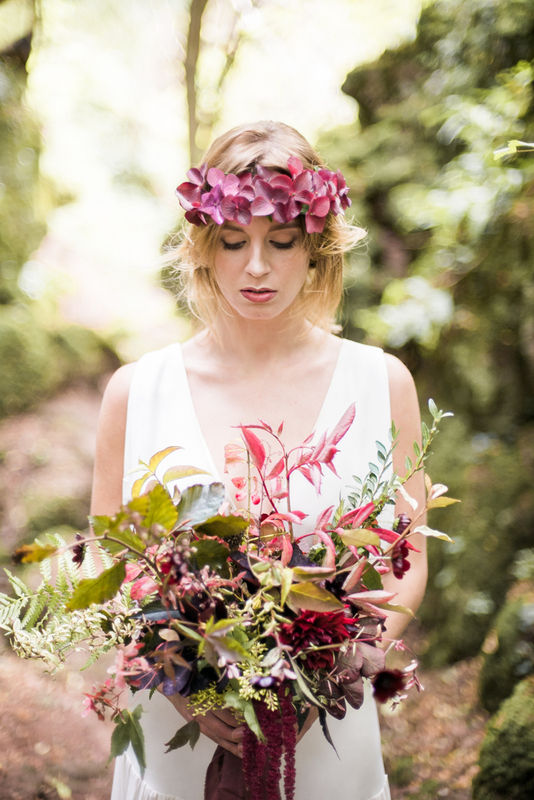 She was rocking a dark messy bouquet and her flower crown was made of the same blooms. 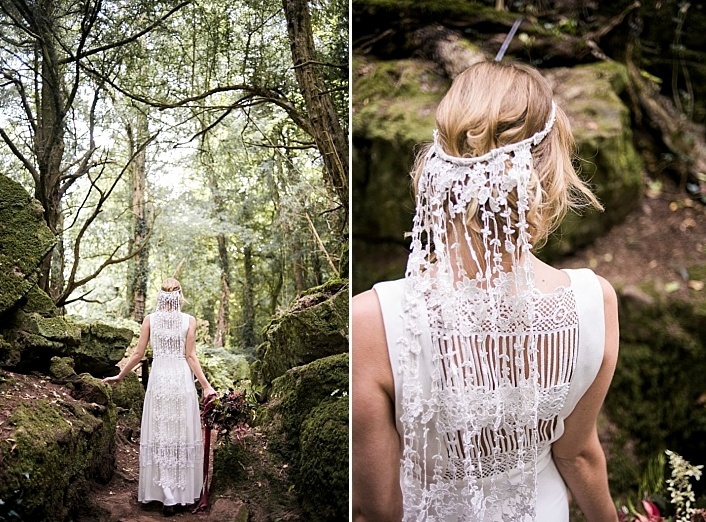 Another idea with this dress is a beautiful veil made of the same crochet lace as the dress detailing. 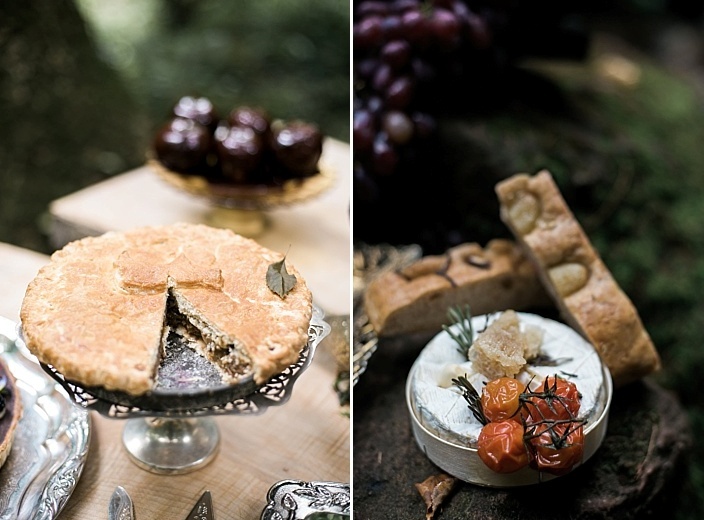 Get more of the beautiful shots below!